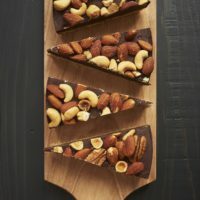 This Fudgy Nut Tart is one of my favorite quick and easy recipes. 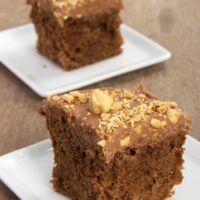 It also happens to be one of my favorite recipes from my book, Quick-Shop-&-Prep 5 Ingredient Baking. 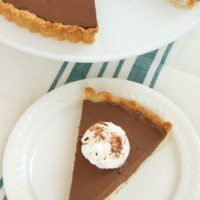 With a kitchen stocked with basic baking ingredients like flour, butter, and brown sugar, you’ll just need 3 ingredients to make this tart! It all starts with a quick crust that only requires a few minutes of oven time. That’s then topped off with a quick chocolate filling and your favorite nuts. You can stick with just one kind of nut, but I like to use mixed nuts. They add lots of flavor, plus they just look so striking on top of the tart. You can dial the saltiness level to suit your tastes. 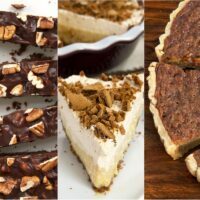 I really like lightly salted nuts for this tart for creating a great sweet and salty combo. 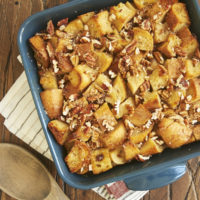 I really like the look of whole and half nuts on top, but you can certainly go the chopped route if you prefer. In either case, be sure to cut this tart with a sharp knife in a downward motion instead of a slicing motion. You’ll get cleaner cuts that way. This tart gives you such a great return on a small time and effort investment. 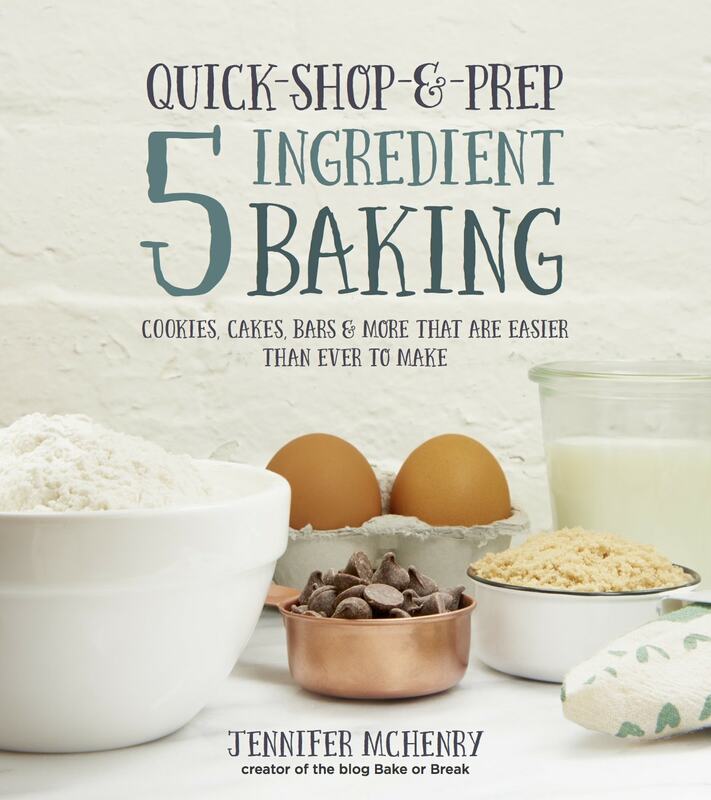 For more recipes that make the most of your baking pantry, be sure to check out Quick-Shop-&-Prep 5 Ingredient Baking. It has 80 recipes that add 2 to 5 ingredients to baking ingredient staples to make all kinds of good things. You can find out more details in my book announcement post. 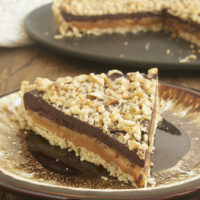 Fudgy Nut Tart is a great choice for when you need a quick and easy dessert with big flavor! Preheat oven to 350°F. Grease a 9- or 10- inch round springorm pan. Using an electric mixer on medium speed, beat the butter and brown sugar until light and fluffy. Reduce mixer speed to low. Add the flour and salt, and mix just until combined and the mixture forms crumbs. Transfer the crust mixture to the prepared pan. Press evenly and firmly into the bottom of the pan. Bake for 15 to 20 minutes, or until golden brown. Set aside. Place the condensed milk and chocolate in a heavy saucepan. Cook over medium heat, stirring frequently, for 8 to 10 minutes, or until the mixture is smooth and thickened. 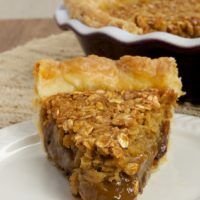 Spread the filling evenly over the crust. Sprinkle the nuts over the top of the filing, and press down lightly. Refrigerate for at least 2 hours, or until the filling is set. Serve chilled or softened. Recipe from Quick-Shop-&-Prep 5 Ingredient Baking. I love how simple and delicious this looks! Lovely. 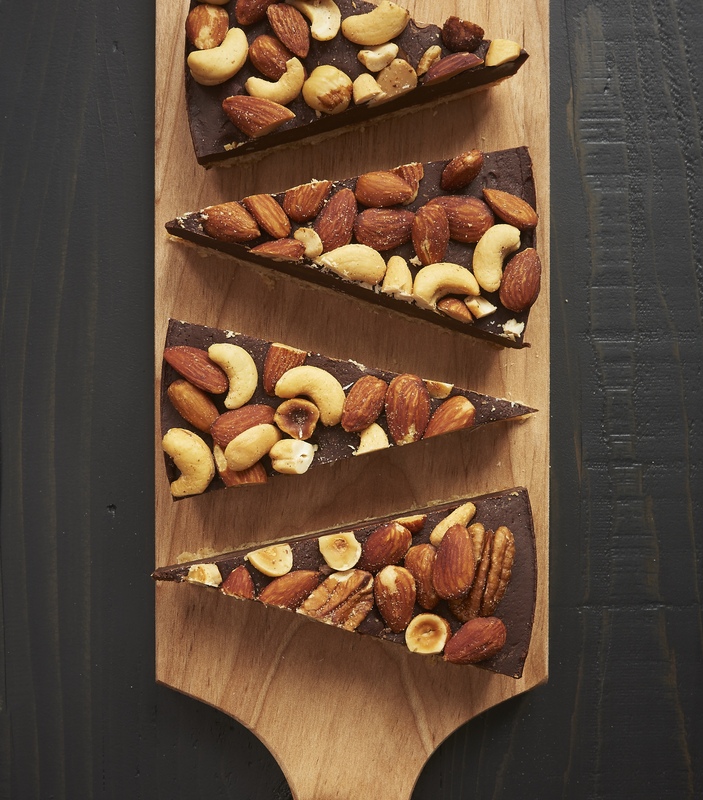 There seriously are not enough desserts in this world that are packed with an array of nuts. Great looking tart! I love how easy these look! This would make a super treat for teachers for Halloween. Looks like they would package well. Thanks!